grandma's cookie jar: Summer Fun - 30 Great Ideas!!! Summer is here . . or nearly so . . . and the next three months should be full of Summertime fun . 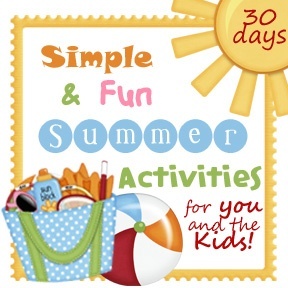 . . so if you are looking for some great, inexpensive and fun ideas which you could use with your grandchildren for summertime fun, then check these 30 ideas which I found on Pinterest! Just follow this link and you'll find ideas which will get your grandchildren out and about having fun and learning at the same time! I particularly love the idea for the marshmallow gun . . . I think this is one we will need to try at this grandma's house for sure!!! :-) And, what isn't there to love about a fruit-eating-contest??? :-) Sounds like summertime fun for sure! So, which ideas do you like the best? Enjoy!! !